Bobby Freeman, a certified public accountant and licensed attorney, currently serves as President of Tower Park Corporation, a real estate development company, and as Chief Executive Officer of Tower Park Management Corporation, a commercial and multi-family residential property management company, both in Newport News, Virginia. His development company specializes in the planning and implementation of mixed-use developments, office parks, shopping centers and residential projects. His company developed Port Warwick, a $500 million dollar “smart growth” mixed-use community in Newport News, Virginia, for which Freeman received numerous awards, including Virginia’s Citizen Planner of the Year award. The management company manages approximately one million square feet of commercial real estate and is one of the largest property management companies headquartered on the Virginia Peninsula. Mr. Freeman obtained his undergraduate and master’s degrees in accounting at Virginia Tech, obtained his certification as a public accountant in 1980 and worked for several years with Coopers and Lybrand, CPA’s. He attended law school at Campbell University in North Carolina, and upon graduation in 1981 was employed by Jones, Blechman, Woltz and Kelly, the largest law firm on the Virginia Peninsula. Bobby was with the firm for 19 years and became the firm’s managing partner for the last 5 years of his association with the firm.  After leaving the law firm, he established Tower Park Corporation and Tower Park Management Corporation. Mr. Freeman currently sits on the board of Advex Corporation, a manufacturing company in Hampton, Virginia, and is the chairman of the Board of Virginia Health Services, Inc., a regional retirement services company headquartered in Newport News, Virginia. He served on the Board of Visitors of Virginia Tech in Blacksburg, Virginia, and Christopher Newport University, a public university in Newport News, where he served as rector for 5 years. Bobby is also past chairman of the Board of Directors of the Virginia International Terminals, a regional organization that operates the Ports of Virginia. He also served as a member of the board of the Industrial Development Authority of Newport News and as a member of the Board of Harbor Bank, a publicly traded community bank in Newport News which later merged with Towne Bank. 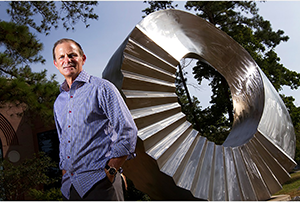 In addition, Bobby is the founder and current chairman of the Newport News Public Art Foundation, a public non-profit organization which has installed twenty permanent monumental sculptures in the City of Newport News. Freeman also founded the Port Warwick Foundation, a public non-profit organization that brings regional public events to Styron Square in Port Warwick including the Port Warwick Art and Sculpture Festival and the Port Warwick Summer Concert Series, both events he created. Freeman was awarded an honorary doctorate by Christopher Newport University in 2003, and was presented the Gracey Award for Extraordinary Service by the Peninsula Rotary Club in 2005. In 2006, he received an Alli Award for contributions to the cultural life of Hampton Roads. In 2007, Freeman was named the Virginia Peninsula’s Citizen of the Year by the Daily Press, the area’s largest regional newspaper. He received the Virginia Center for Inclusive Communities Humanitarian Award in 2016.